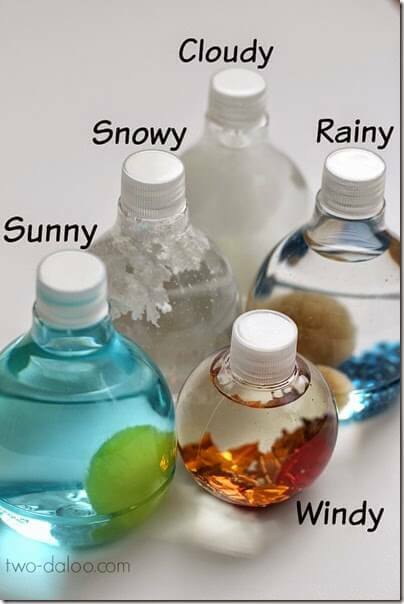 These creative sensory bottles are such a fun way for Toddler and Preschool age kids to explore different types of weather. Kids are never to young to start exploring weather and the world around them. Here is a really fun, hands on way for Toddler and Preschool age kids to explore different types of weather – Weather Sensory Bottles from Two Daloo.